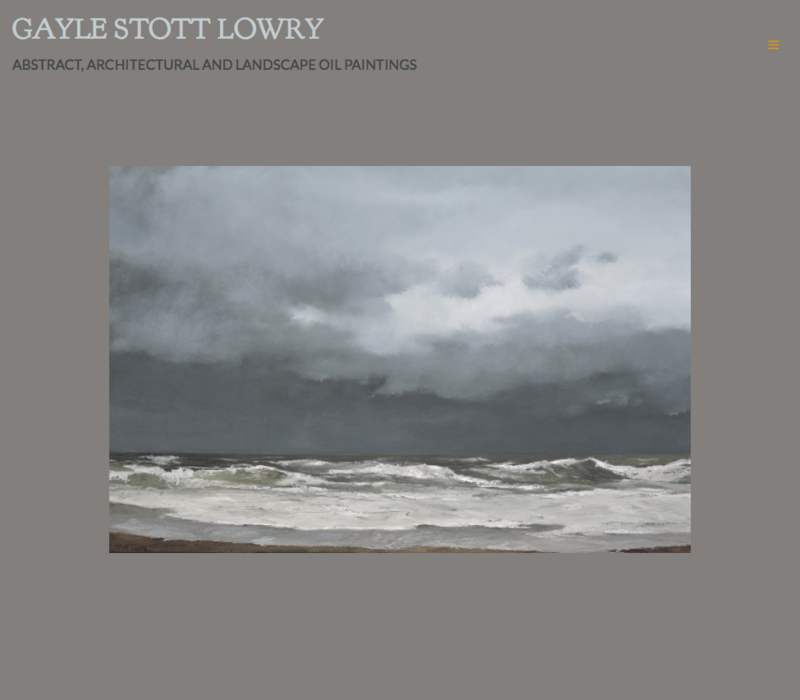 Gayle Stott Lowry works in oils to create beautiful landscapes, architectural studies and abstracts. Her work is informed by a deep concern about changes in the environment, and she explores "the theme of living with uncertainty and forces beyond our control, on a personal and collective level." For her artist website, she was using one of our older templates, which was not mobile-friendly, so we offered her a website makeover. 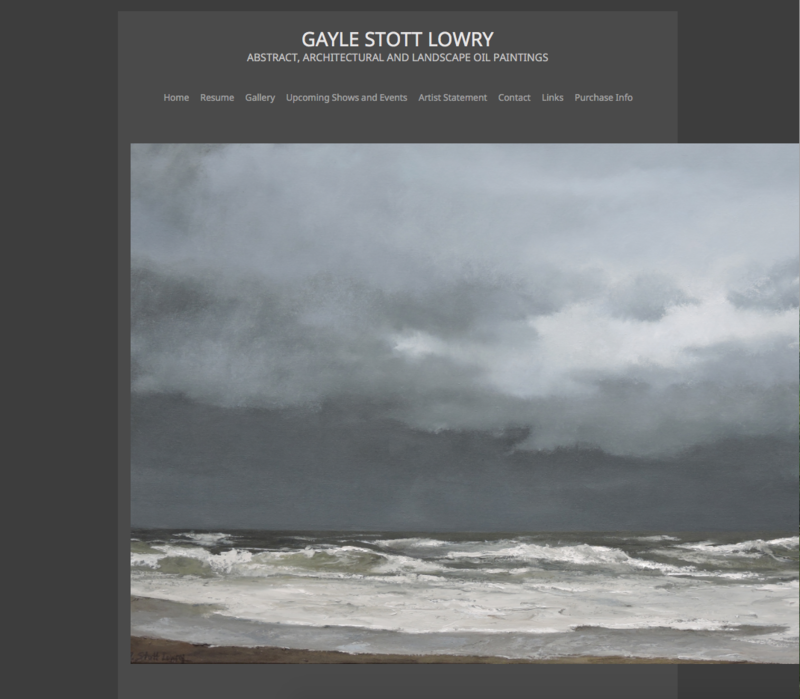 We picked up on the evocative palette of her seascapes and employed a variety of cool and warm greys, warmer for the background, cooler for the text. Lowry's work is technically sophisticated, and grey also served as a way to keep from distracting from the work. We kept the fonts simple and sophtisticated as well. Ultimately we wanted to provide a platform to allow Lowry's art to speak for itself.